Featured Photo used courtesy of Joe Haas Media. Photos below are property of Lake Country Family Fun. Downtown Oconomowoc will be the place to be Thanksgiving Weekend! 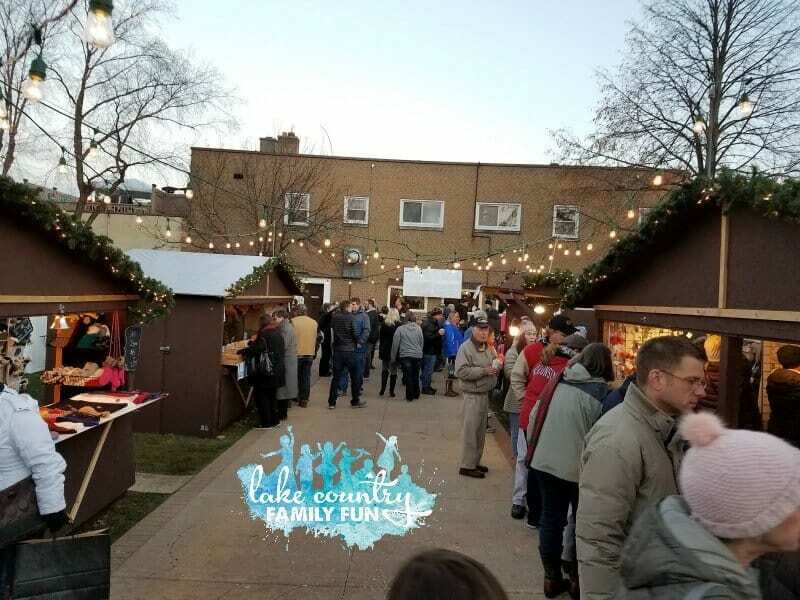 The German Christmas Market of Oconomowoc is filling the Village Green in Downtown Oconomowoc with all things German. The park will be turned into a winter wonderland full of delights for all of your senses. There will be traditional German music filling the air. You will walk among the vendor huts that will have Christmas lists answered, the smell of roasted candied nuts in the air, and libations to delight your tongue. This is the 7th anniversary for the German Christmas Market. There will be a variety of vendors, from handcrafted soaps, jewelry, glassware, barbarian specialty gifts, and so much more! You will be able to shop local from so many artisans, all in one location. Also, don’t forget that the market is centrally located within walking distance of the shops of Downtown Oconomowoc and tons of street parking, and municipal lots. Here is a list of the vendors that are to be at The German Christmas Market of Oconomowoc for the 2018 season. If you are looking for handcrafted treats to fill your belly, no worries, The German Christmas Market has a great variety of foods available. There will be bakeries with sweet treats, and savory options, the cinnamon roasted almonds will be back, and don’t forget about the big soft German pretzels, and the other traditional German Foods. Please note that there is a $2 hand stamp, for all persons 21 and over, for entry into the heated Wintergarten. The music is unstoppable, you will be dancing the polka through the day into the night, so to get the kids a babysitter and head out for a date night and really get into the German “Spirits”. There will be beer (of course) and also gluhwein (warm mulled wine) and specially branded wines from LoDuca Brothers. Crosspoint church will be back serving up hot chocolate and coffee. Santa will be making appearances at the German Christmas Market again this year. 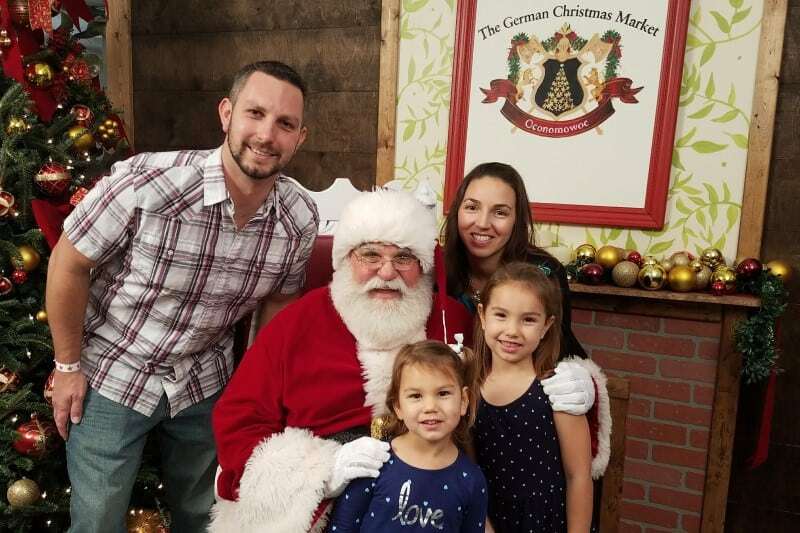 As always, photos with Santa will be free (photos taken with your own phone or camera). There will be donations accepted to help fund the Oconomowoc food pantry. What a great way to get photos with Santa and help those around you by supporting the food pantry with a kind donation. So pack up the car with the whole family and share in the joy that is to be the 2018 German Christmas Market of Oconomowoc. For more information including frequently asked questions about The German Christmas of Oconomowoc visit their website. 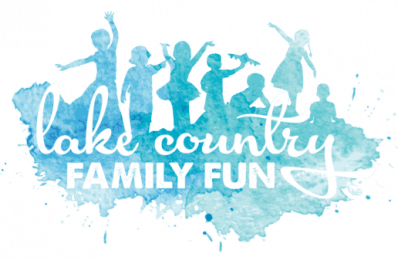 If you go let them know you heard about it from Lake Country Family Fun! 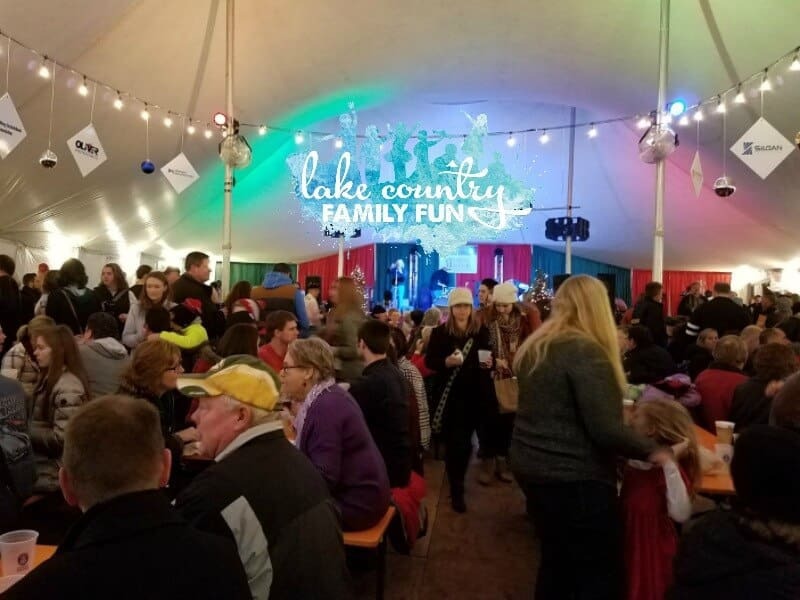 Read about Lake Country Family Fun owner, Erin’s husband’s fame after winning the 2016 stein holding competition!